Visit website to learn more AEP Ohio offers a mail-in rebate on the purchase and installation of select Air-Source Heat Pump - Split Systems. Offer valid 01/01/2019 through 12/15/2019. Other restrictions may apply; please visit the website for additional details. Visit website to learn more AEP Ohio offers a mail-in rebate on the purchase and installation of commercial hot food holding cabinets. Offer valid 01/01/2011 through 12/31/2019. Other restrictions may apply; please visit the website for additional details. Visit website to learn more AEP Ohio offers a mail-in rebate on the purchase and installation of commercial ice machines. Offer valid 01/01/2011 through 12/31/2019. Other restrictions may apply; please visit the website for additional details. Visit website to learn more AEP Ohio offers a mail-in rebate on the purchase and installation of commercial ovens. Offer valid 01/01/2014 through 12/31/2019. Other restrictions may apply; please visit the website for additional details. Visit website to learn more AEP Ohio offers a mail-in rebate on the purchase and installation of commercial refrigerators and freezers. Offer valid 01/01/2014 through 12/31/2019. Other restrictions may apply; please visit the website for additional details. Visit website to learn more AEP Ohio offers a mail-in rebate on the purchase and installation of commercial steam cookers. Offer valid 01/01/2011 through 12/31/2019. Other restrictions may apply; please visit the website for additional details. Visit website to learn more AEP Ohio offers a mail-in rebate on the purchase and installation of dehumidifiers . Offer valid 12/16/2018 through 12/15/2019. Other restrictions may apply; please visit the website for additional details. Visit website to learn more AEP Ohio offers a mail-in rebate on the purchase and installation of Ductless Heating & Cooling - Mini-Split Air Conditioning. Offer valid 01/01/2018 through 12/15/2019. Other restrictions may apply; please visit the website for additional details. Visit website to learn more AEP Ohio offers a mail-in rebate on the purchase and installation of Ductless Heating & Cooling - Mini-Split Air Conditioning. Offer valid 01/01/2019 through 12/15/2019. Other restrictions may apply; please visit the website for additional details. Visit website to learn more AEP Ohio offers a instant rebate on freezers recycling. Offer valid 10/01/2017 through 12/31/2019. Other restrictions may apply; please visit the website for additional details. Visit website to learn more AEP Ohio offers a mail-in rebate on the purchase and installation of select geothermal heat pumps. Offer valid 01/01/2019 through 12/15/2019. Other restrictions may apply; please visit the website for additional details. Visit website to learn more AEP Ohio offers a mail-in rebate on the purchase and installation of heat pump water heaters. Offer valid 01/01/2019 through 12/15/2019. Other restrictions may apply; please visit the website for additional details. Visit website to learn more AEP Ohio offers a mail-in rebate on the purchase and installation of an in-ground filter (self priming) pool pump. Offer valid 01/01/2019 through 12/15/2019. Other restrictions may apply; please visit the website for additional details. Visit website to learn more AEP Ohio offers a instant rebate on refrigerators recycling. Offer valid 10/01/2017 through 12/31/2019. Other restrictions may apply; please visit the website for additional details. 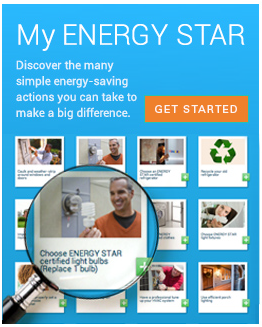 Visit website to learn more AEP Ohio offers a mail-in rebate on the purchase and installation of smart thermostats. Offer valid 01/01/2019 through 12/15/2019. Other restrictions may apply; please visit the website for additional details. Visit website to learn more AEP SWEPCO offers a mail-in rebate on the purchase and installation of select Air-Source Heat Pump - Single Package. Offer valid 07/01/2011 through no current end date. Other restrictions may apply; please visit the website for additional details. Visit website to learn more AEP SWEPCO offers a mail-in rebate on the purchase and installation of select Air-Source Heat Pump - Split Systems. Offer valid 07/01/2011 through no current end date. Other restrictions may apply; please visit the website for additional details. Visit website to learn more AEP SWEPCO offers a mail-in rebate on the purchase and installation of select Central Air Conditioning - Single Package. Offer valid 07/01/2011 through no current end date. Other restrictions may apply; please visit the website for additional details. Visit website to learn more AEP SWEPCO offers a mail-in rebate on the purchase and installation of select Central Air Conditioning - Split Systems. Offer valid 07/01/2011 through no current end date. Other restrictions may apply; please visit the website for additional details.